I can’t stop photographing boat masts. I love their angles, delicacy of line, and the way they create fantastic silhouettes across the sky. I also just love the haunting, ringing sound that they have when the wind strolls through them. 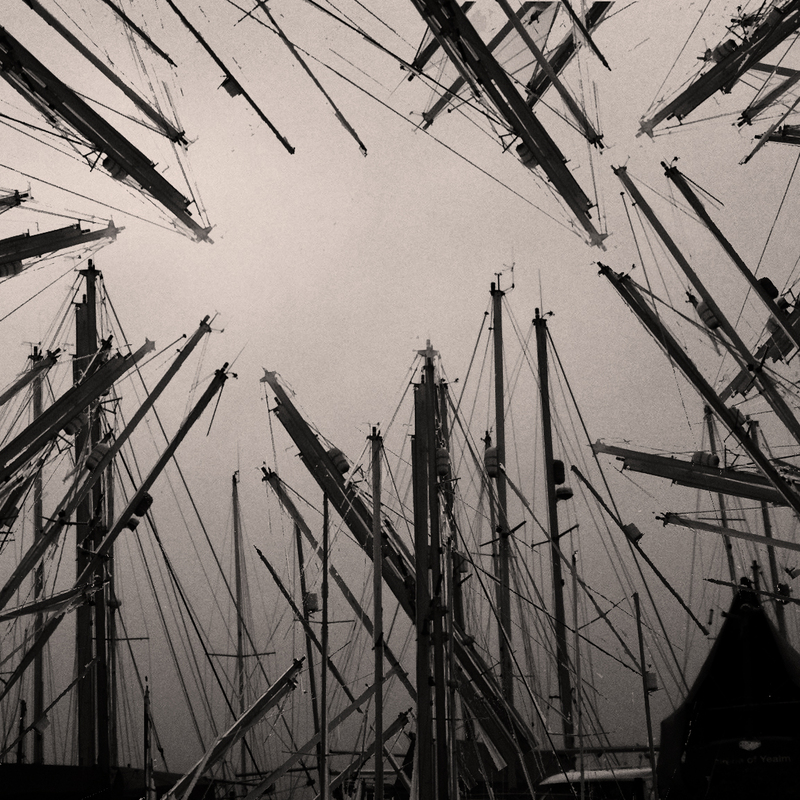 I really want to create some work including masts – this is my first attempt. I’ve learned a lot from this piece of work. Being excited about the idea, I started it in a really disorganised way, by taking each little piece and editing them individually after putting them all into place. I regretted this halfway through as I realised that had I planned it better, it would have taken half the time..! Neck, eyes and mind aching, I’d like to say I’ve learned my lesson.. but I probably haven’t.. It was tough to work out the contrast too on this, I have many different versions, all which have different effects..I’m not good on decisions! But I think I’m happy enough with this one for now, and I’m going to try printing it! Wonderful composition! I love the concept for this image. well, I think your perseverance paid off with a strong image, very nice indeed! Thankyou Lisa, I’m glad you think so! Can a composition be percussive? That’s what twigs in my mind. I would love to see a series of these; one image is not enough!